Body of the fence. The body of the fence must be designed so that there are no horizontal bars that could offer a toehold to a climber. That said, there must be a strong bottom horizontal to hold the verticals in place, but since it is right at the bottom, any toehold would be too low to provide a way up. The top horizontal must also be in place to hold the verticals and make a strong fence, but again, no one can get their toes up that high or balance on such a piece, so the fence is still considered secure. Design of the top. Many security fences have a rolled top – one that curves outwards to help prevent climbers from getting over. If this portion of the fence is also barbed, then it works extra well. Without a strong foundation the fence could be displaced or dug under. Most security fences that are permanent have concrete foundations, some for each post and some for the whole length of the fence, depending on where it is and the kind of protection needed. All fences need at least one access point to allow people in and out. The gate must be at least as strong as the fence, meaning the hinges should be strong as well as the body of the gate. The lock. No gate will keep intruders out unless it is locked securely. The lock must be strong and able to withstand any attempt to unlock or break it. A temporary security fence for a construction site does not need to look attractive, but a permanent fence around a residential or commercial property needs to look attractive. An ugly fence would be a blot on the landscape. 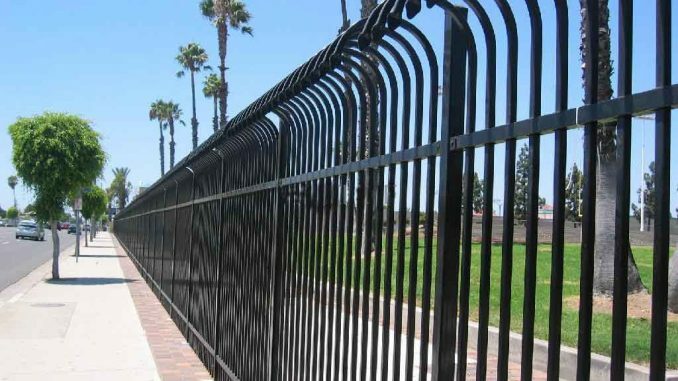 Since a security fence is usually expensive, it needs to last a long time. If it rusts out or breaks down in a few years time it will not provide security, so it needs to be made of durable material. Once all these boxes are ticked, you can be sure your security fence will do the job it was made for.